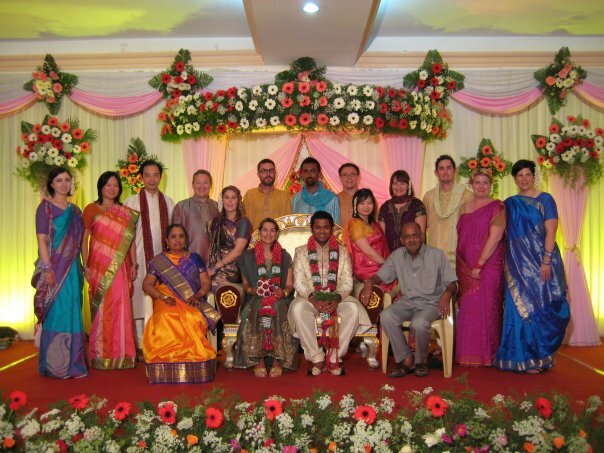 Home > India, India: Chennai, Travelling, Wedding	> Chennai – wedding / food / shopping! Chennai – wedding / food / shopping! Not my wedding but a dear friend from uni, R, was getting married, in Chennai, India and how can I say no to an Indian wedding? I have always wanted to go to an Indian wedding, lots of colours, lots of food, lots of people and saris!! As I told R, you had me at ‘wear a sari’! I have wanted to go to India for quite some time now. Mainly with Hubby and to watch the cricket, however, the IPL wasn’t on at the time and we recently just got back from another trip, hence Hubby couldn’t get any time off… SO… off I went to India to meet up with some friends for R’s wedding. Cathay Pacific flies to Chennai four days a week – Saturday, Sunday, Tuesday and Thursday (or something like that!) flight depart Hong Kong at 10.30pm and arrive in Chennai at 2.30 – 3 AM! I was seriously not looking forward to immigration and unfortunately for me, it wasn’t a short queue!! I was smart enough to organize a car pick up from the hotel though, as the last thing I wanted to do at 3 am was barter and figure out how to get to the hotel! Checked in and crashed! Before I knew it, it was 9am and time for brekkie! Met T for breakfast and afterwards decided to go to R’s house. He told us to take a tuk tuk and did not specify how much we should pay! Needless to say, we got SERIOUSLY ripped off and when we got there, the tuk tuk wanted to stay just in case we wanted to go somewhere else so he could rip us more! Apparently, we have paid 4 – 5 times more than what was required – oh, the joyous of traveling! It was an interesting ride in the tuk tuk to say the least – Indian drivers and their love for chaos seems a little traumatic at first, but I never felt unsafe even though we would sometimes swerve into oncoming lane to pass (and most vehicles have no seatbelts!!!). Accidents are rare, even on streets swamped with auto-rickshaws and motor and normal cycles! Let me also point out that the vehicles (trucks / cars) had no side mirrors! It’s like as though it has been swerved off and not replaced or just taken off! We didn’t really do much sightseeing in Chennai (I wasn’t there for very long, 4 days max?) – we went to one of the beaches on Sunday, shopped for a sari (which had to be the highlight!) and outfit for the wedding for at least 2 whole days, ate well and of course, R and N’s wedding!! Shopping for a sari was an event on its own! I never realized that a ‘sari’ was just a strip of unstitched clothed! I thought the whole outfit was called a sari – little did I know… the sari is usually worn over a petticoat, with a blouse that matches the colour of your cloth! Of course I had to pick one of the hardest colours to match a blouse for! I wanted something bright and ended up with something pink, orange with bright blue speckles / flowers! It took a good afternoon to find the matching blouse and believe me, I was so relieved when this was done! Of course the outfit was not complete, we still had to get bangles, and other accessories to match! Like I said, it was an event on its own! I decided to get a henna – I might as well go all out right? When else am I going to wear a sari and get a henna? So got something relatively small on my hand and was glad that I did! It was absolutely gorgeous – the worse bit would have to be the smell and waiting for it to dry for at least 45 – 60 mins! Unfortunately for the bride, she was not allowed to get something ‘small’ – she was covered from her hands to her forearm and up to her ankles on both feet! It did look amazing though! The engagement party took place the day before the wedding and what a wonderful experience that was! We went to a temple first to pray, then afterwards, the bride and groom hopped in the car whilst the rest of us walked besides / in front / behind the car with marching band. After a couple of laps of the neighbourhood, we got to the grooms place, where first, there were fireworks, followed by dancing on the streets, and then dinner on the roof top! It was a great evening and one I will never forget! The day finally came when we all had to wear our saris and the wedding day. All the girls / ladies were in bright saris, the boys were either wearing a kurta (which is a loose shirt falling either just above or below the knees, traditionally worn with loose-fitting paijama) or lungi (also known as a sarong). It was great seeing all of us dressed up for this special event. It was a great wedding, different to the weddings I have been too. Unlike your traditional western wedding, there is no sit down dinner, no dancing (well not for South Indian weddings) and no speeches or anything like that. A ceremony was conducted in the morning, then in the afternoon, the bride and groom would go on stage and guests would come to congratulate them and take photos with them. Afterwards, we would eat at the dining hall and listen to some Tamil music. This blog wouldn’t be a food blog if I didn’t say mention anything about the food right? I am not usually big on Indian food, however, the curries, rotis and desserts in India was just amazing! It made me realize that there are more to Indian food than just chicken tikkas, butter chicken, beef vindaloo, vegetable samosas and fish curry. R is vegetarian, so we had a lot of vegetarian food, like cauliflower tikka (which to me tasted like pork! ), zaffrani paneer tikka (which is tikka cottage cheese) and dosais. My favourite would have to be these fried, round fluffy bread, similar to naan but so much lighter and fluffier… dipped into curries, I can at least eat 3 of these my own, which I am sure I DID! I have to admit though – one week of eating curries for lunch and dinner has seriously last me for the rest of the year. No more curries for a while! Had a fabulous time catching up with friends whom I haven’t met for a while, and meeting new friends, and of course, seeing the bride and groom finally married! To N and R – congratulations! All the best and wish you both all the happiness in the world! !